"Stages after rest days are notoriously difficult for riders to negotiate, and this will be even trickier as they also grapple with a completely different bike set-up and gearings..."
After a seemingly interminable wait, the race reaches the mountains, taking the riders over 159km as Stage 10 negotiates five categorised climbs, including the super-categorised Montee du Plateau des Glieres, which has a punishing average gradient of 11.2%, and where the last two kilometres are on a dust road. The final climb of the day is up the Colombiere, before a 15km descent into the finish in Le Grand-Bornand. This doesn't have the feel of a decisive mountain stage - there is no summit finish and the descents are not overly technical - but it will be interesting to see how the peloton transitions to this new challenge. Stages after rest days are notoriously difficult for riders to negotiate anyway, and this will be even trickier as they also grapple with a completely different bike set-up and gearings. Alejandro Valverde ([7.00]) is topping most lists. He has certainly been riding well and will presumably now get the nod as Movistar team leader, although both Landa ([60.00]) and Quintana ([34.00]) are close enough in the General Classification to mean that any move they make will have to be marked. This makes all three of them possibles for individual stage wins in the mountains, as teams won't quite know how to best respond to any attack they make, with any indecision something Movistar can capitalise on. Valverde can climb well and will like the fast descent into the finish, but those are short odds to be taking when we don't yet know how the different teams will approach tactics in these mountain stages. A case can be made for several riders, including Geraint Thomas ([27.00]), Chris Froome ([24.00]), Adam Yates ([32.00]), Vincenzo Nibali ([24.00]) and Roman Bardet ([22.00]). Of these, I would prefer Nibali, who has looked like a rider intent on success at this Tour, cannily negotiating those tricky opening days; however, whether he will want, or be allowed, to show his hand on this stage is debatable. I've got a feeling that, instead, this will go the way of a breakaway, as it's not clear whether any team in the peloton will be interested in chasing anything down. Movistar might want to, but they may find themselves alone in their efforts. Aside from the usual suspects for stages like this, then, it might be worth siding with a climber who has no General Classification aspirations or responsibilities. Rein Taaramae fits the bill, and this stage is not unlike the one he won at the Giro in 2016. At huge odds of [100.00] he might just cause a surprise on a day where everyone else is looking at each other. Pleasingly, rain is forecast to appear at some point during the stage, so if Taaramae does win, the headline writers will have an easy time of it. What's clear is that in-play punters will really need to attend to the course profile and race action as the action unfolds. With the exceptions of Greg Van Avermaet and Philippe Gilbert, the General Classification is now starting to look leaner, with riders massing in the Top 10 who could conceivably compete for the Tour outright. 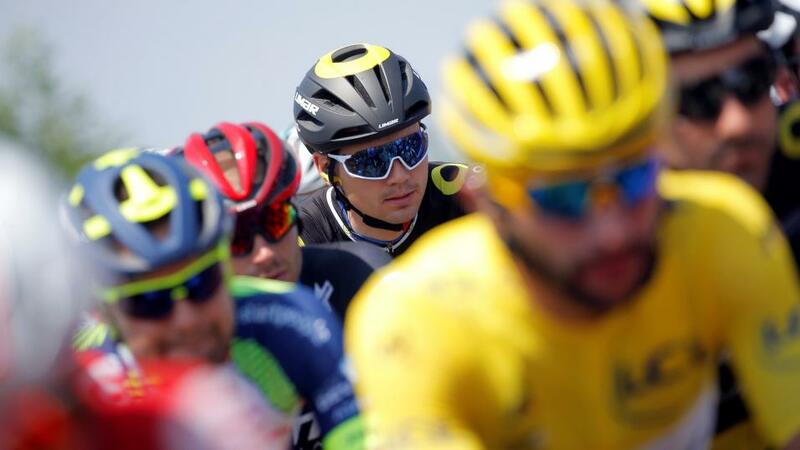 By the end of Stage 10, it's likely that Van Avermaet will relinquish the race lead, most likely to Geraint Thomas, who will be the fourth wearer of the Yellow Jersey, one step closer for us to success in the Riders in Yellow market, which we previewed as a likely win for six riders and upwards. The intermediate sprint points come early on Stage 10, at 29km. The route has climbed by then, to the tune of around 115m, and it will give us an insight as to whether Fernando Gaviria intends to continue to compete for the Green Jersey as the race enters the mountains, or whether, after his relegation on Stage 8 saw him fall further behind in that competition (he is now 81 behind Peter Sagan), he has decided that he is best to preserve his energy and focus instead on trying to win the remaining stages that will end in a bunch sprint. The real King of the Mountains competition now starts, and examining the composition of the break-away will give us an idea as to which riders intend to target that competition: my pre-Tour recommendation of Jarlinson Pantano was not chosen by his team to compete here, but Warren Barguil, Rafal Majka, and Thomas De Gendt remain. De Gendt remains a good bet at around [8.00]. The White Jersey competition was split asunder by the cobbles of Stage 9, and of those riders previewed, Latour and Martin perhaps look most interesting.